Check this out. 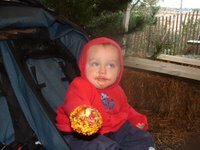 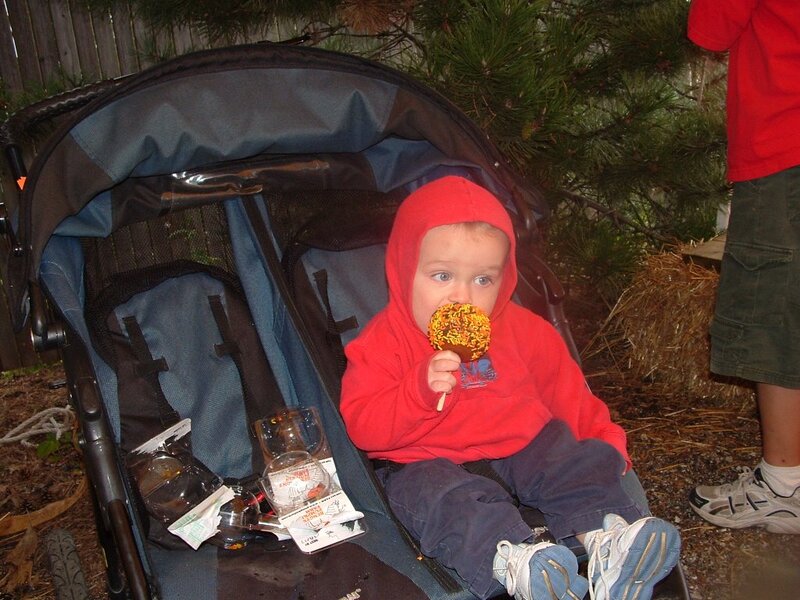 Jimmy loved his carmel apple. 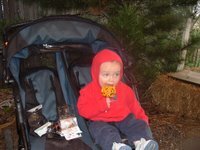 So much so, that it kept him totally occupied for 30 minutes, and he had a death grip on the thing. Silly little boy.